Aerial footage of famous Christ Statue - Rio de Janeiro, Brazil. Home Rio de Janeiro Aerial footage of famous Christ Statue – Rio de Janeiro, Brazil. Tags: aerial, brazil, bridge, building, christ, ocean, Rio, statue. 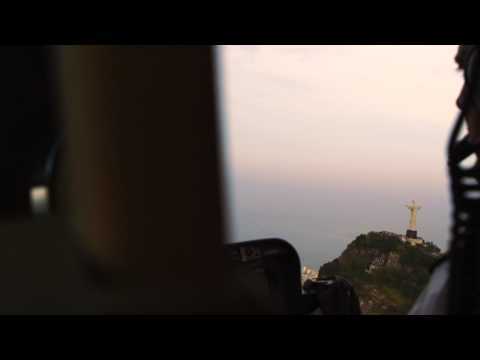 Aerial footage of famous Christ Statue – Rio de Janeiro, Brazil. The bridge that joins Rio with Niteroi is visible in the background.